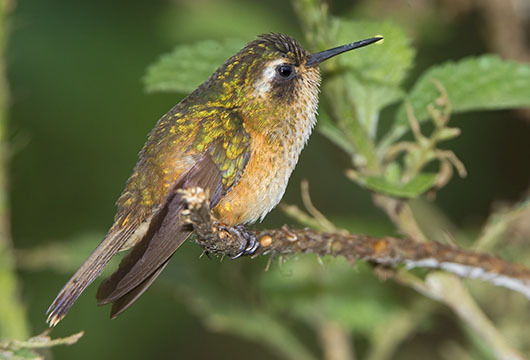 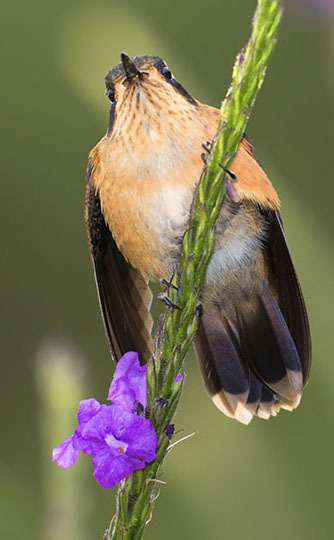 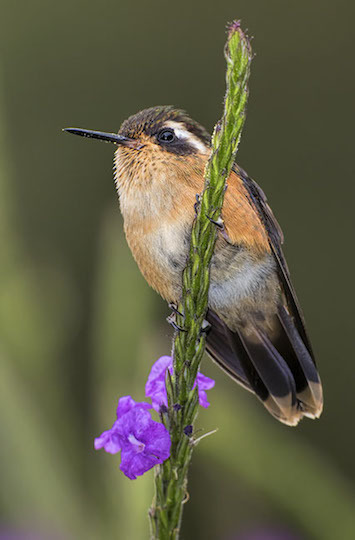 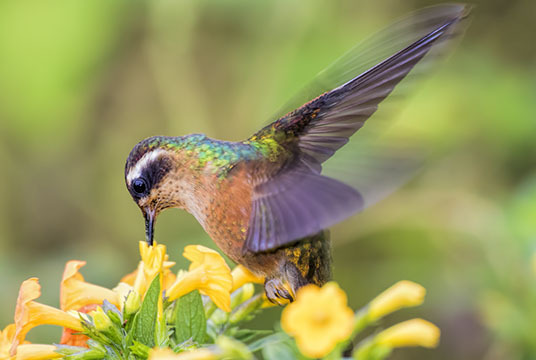 The popular impression of hummingbirds is that they are brightly colored, but many of the several hundred species are rather plainly-marked birds. 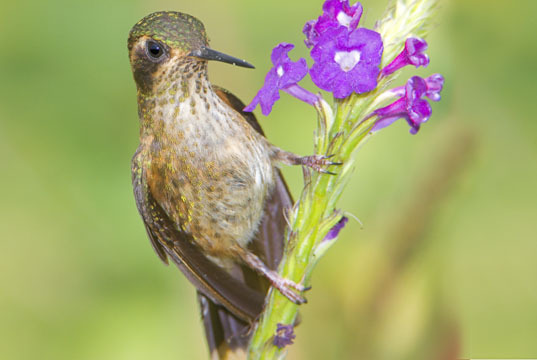 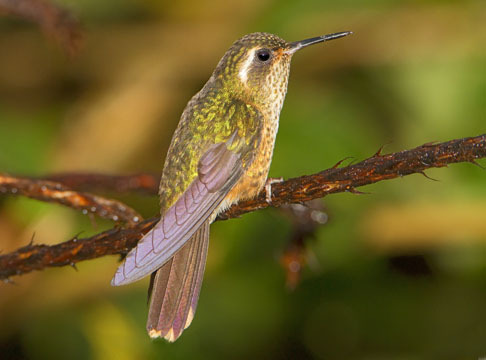 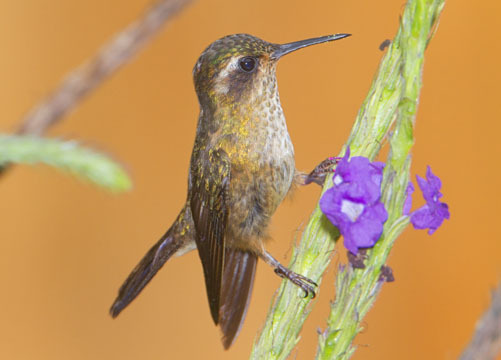 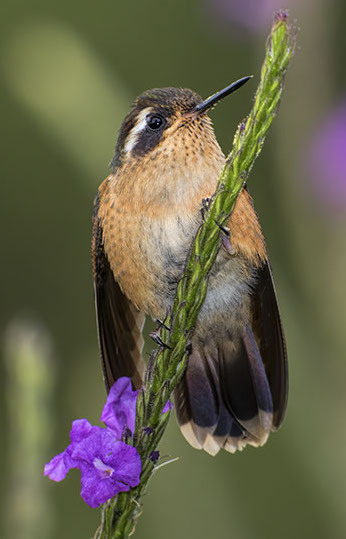 An example is the speckled hummingbird shown here. 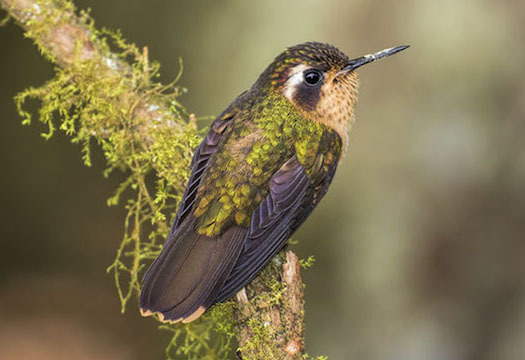 I took the pictures in San Pedro, at about 1500 m altitude on the Manu Road, descending into Amazonia in southeastern Peru, and in southwestern Colombia. 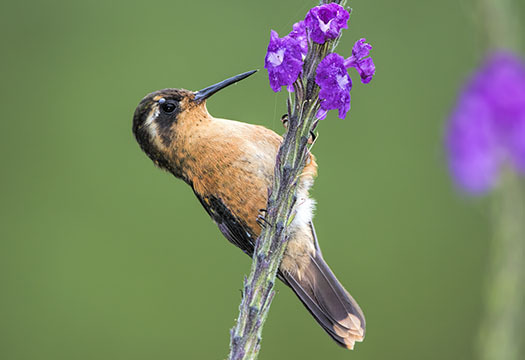 Like several other hummer species, they were very fond of the flowers of these verbena bushes.